The specifications for the MultiDrone system are ready; it is time to start with the actual development. 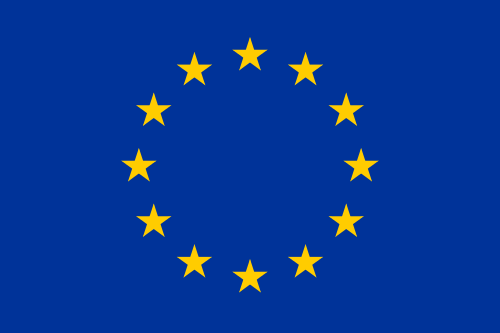 For both the hardware and the software implementation, partners have already taken first steps. If you’ve followed our previous updates, you will have already read about the decisions on hardware design (in particular the drone platform) as well as the architecture for the autonomous planning of the MULTIDRONE system. However, this architecture has evolved since then; a summarization of the current status can be seen in the following picture. The Dashboard module is the user interface for the director, providing him/her with an overview of the shooting mission – it is being designed and developed by our partner RAI. The Mission Controller with the High-level Planner, the Event Manager, and the Onboard Scheduler are the core planning modules, currently being developed by our partner USE. These modules take the Shooting Mission and generate a list of actions (plans) for each drone. Finally, the Action Executor receives actions (Shooting Actions or Navigation Actions) and sends the commands to the drone and the gimbal in order to get the desired shot. These controllers are being developed by our partner IST. In order to integrate the planning architecture, the USE team has worked on a first example with the planning modules running in simulation. Even though the planning algorithms are not finished yet, there is a first version of the modules and their interfaces, to test the interactions and inter-process communication. 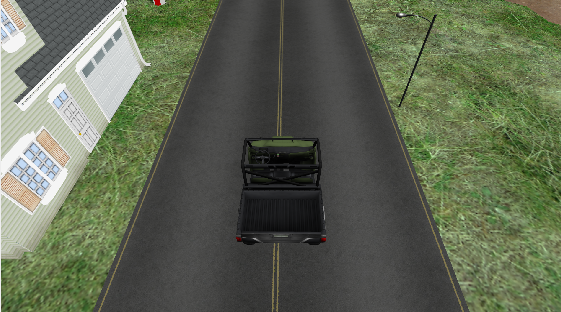 01.Two drones and one simulated target are involved, the target being a car moving along a straight road. 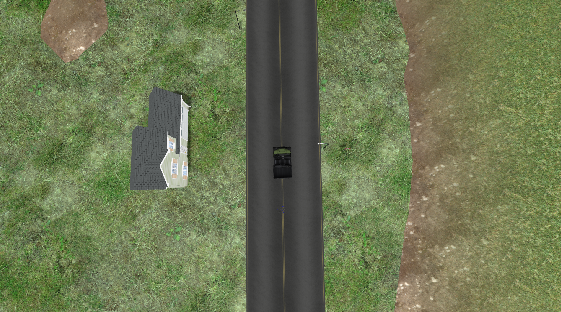 02.One drone takes a lateral shot (medium shot) of the target, flying parallel to the road line. The other drone takes a chase shot, flying behind the target (medium shot). 03.When the target approaches the finish line (around 200 m to end), one of the drones flies to the finish line and takes a long shot in a 90° angle to the target (cenital shot) while the target is crossing the finish line (photo finish). The other drone flies behind the target and takes a long over-the-shoulder shot of the target heading towards the finish line. In the simulation (for full version, see video below), the above example mission is translated into a Shooting Mission by a fake version of the Dashboard and sent to the planning modules, which compute the plans for each of the two drones with a preliminary and simple version of the MultiDrone planner. Then, each drone executes its assigned shots with simple controllers that track the target. In this first version, the events in the system are generated by the Event Manager manually by a human user. 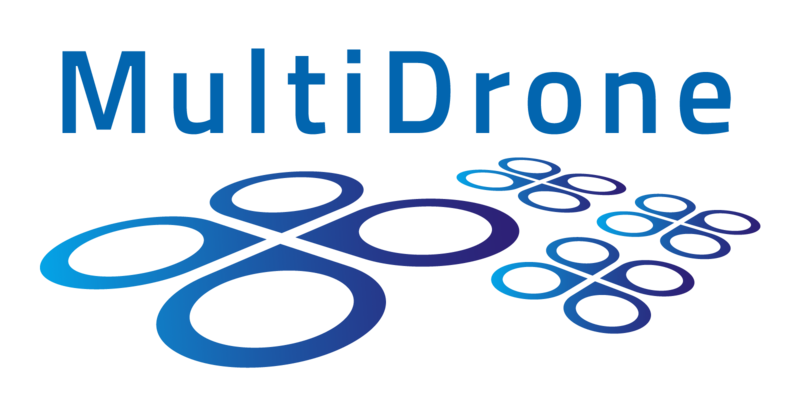 The whole MultiDrone team is now working on the software development. In the next months, we will develop and integrate all the system modules including visual perception from our partner AUTH, the Supervision Station from our partner Thales and drone localization without GNSS from USE, among others.